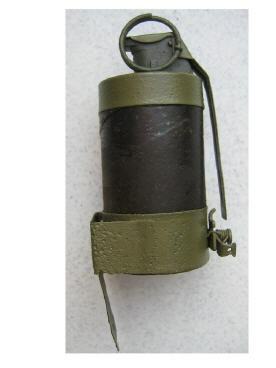 This flare could be attached to a tree or pole and was actuated by a trip wire. 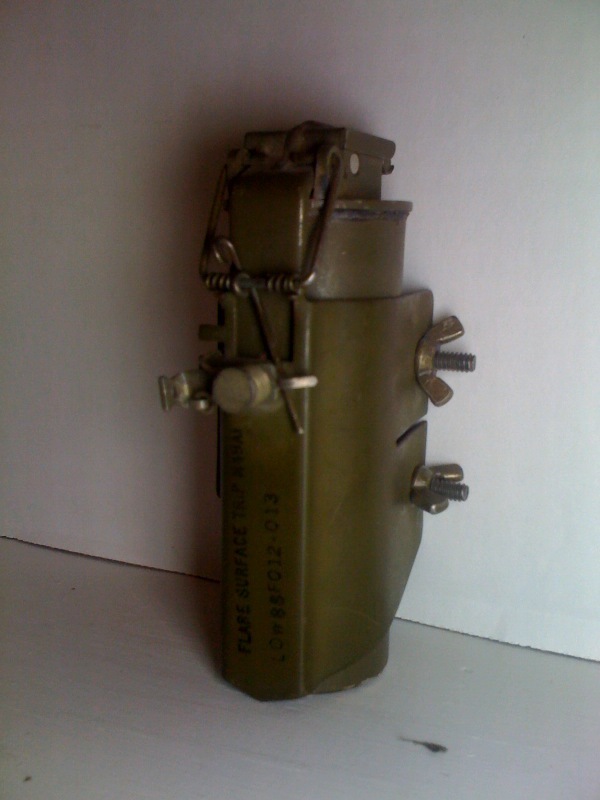 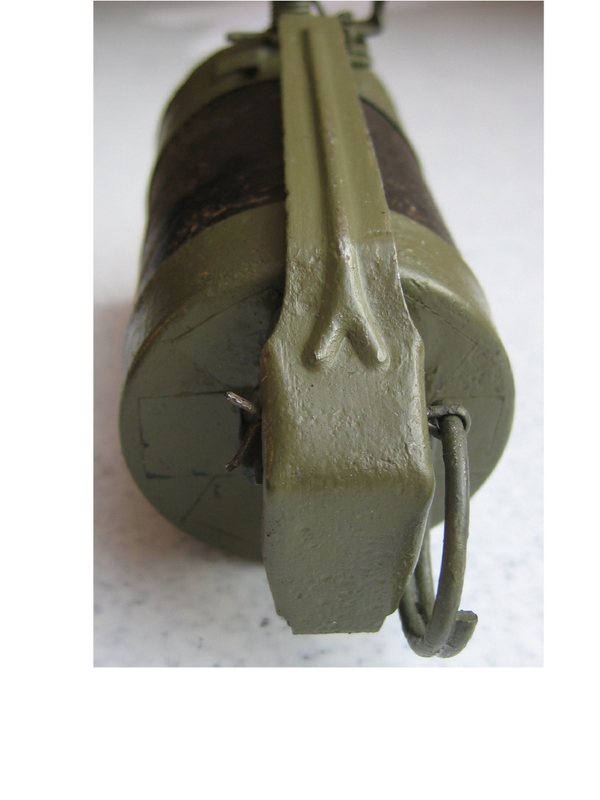 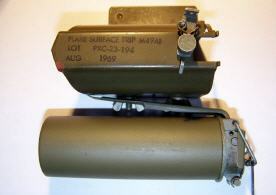 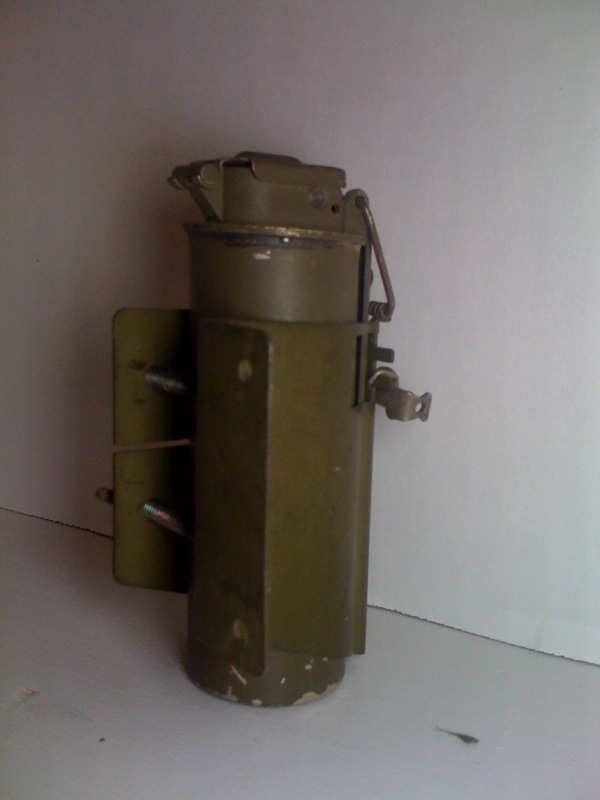 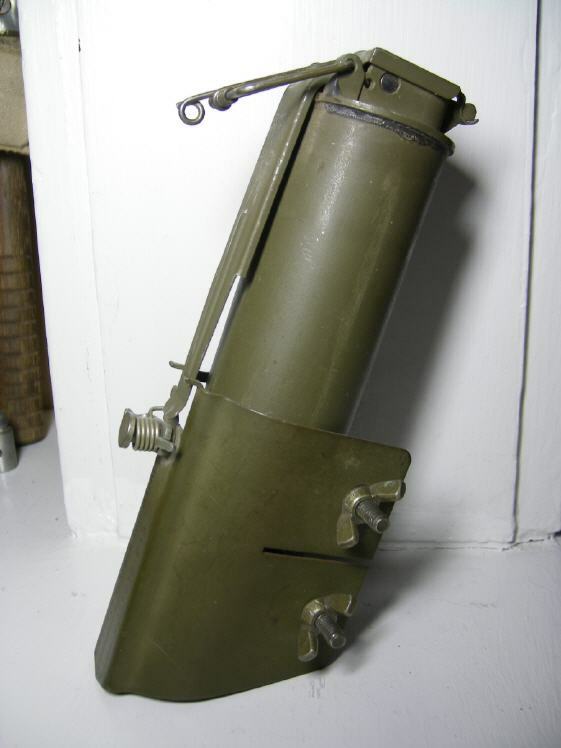 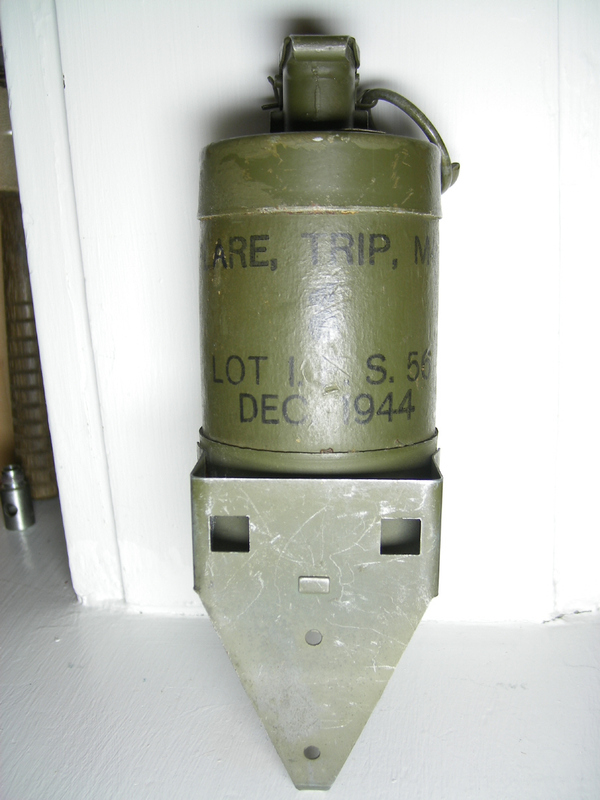 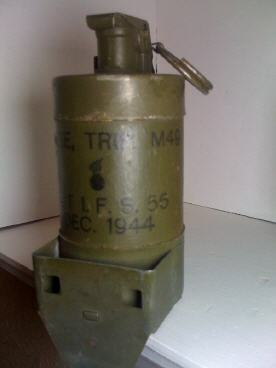 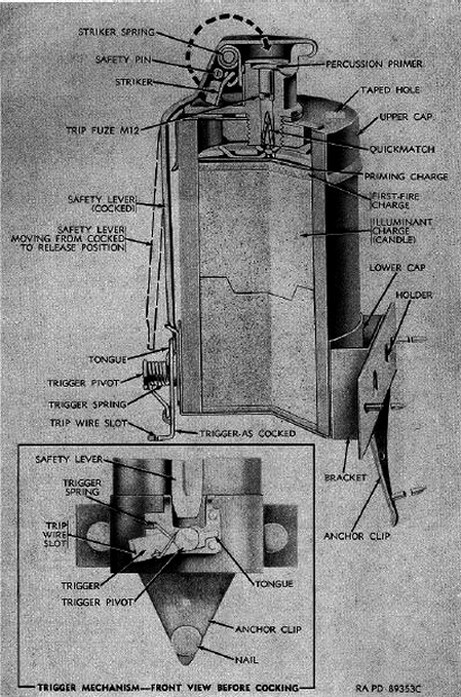 The fuze was almost identical to the fuzes found on US smoke grenades. On ignition (no delay) , the candle will produce 40.000 candela for about one minute. These flares were packed 25 in a wooden case, each issued with 3 nails and 13.7meter of trip-wire. 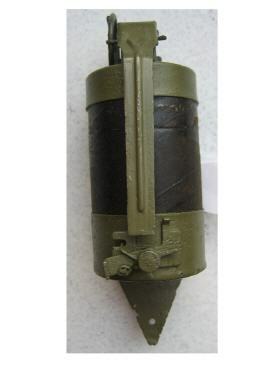 Length: 97mm , Diameter: 64mm. 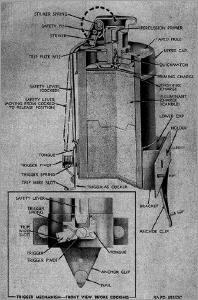 Scan on the right thanks to R. van Doorn.